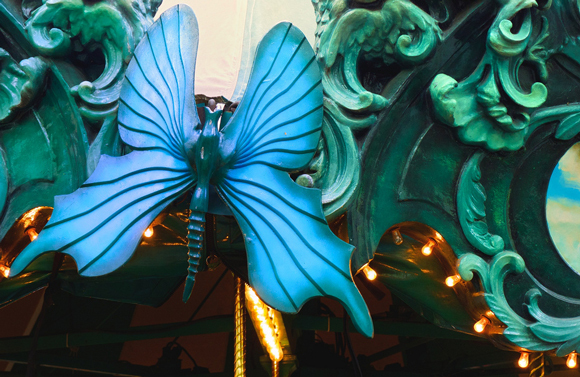 2010 was a record setting year for Le Carrousel at Bryant Park. From our counts, ridership in 2010 totaled 91,400 people...a 21% rise over the previous record of 75,727 riders in 2008! We credit this to an increase in fun children's activities offered around the carousel (like the popular Le Carrousel Magique weekend events and last year's Halloween party hosted by Flaubert Frog), and to the fact that Le Carrousel is open all year round. During the month of February, the carousel is open daily from 11am to 8pm. The hours vary through the seasons, but you can always find them listed on our website.